Sokoun is raised in Bangkok with roots in Cambodia. He has been in the hotel and restaurant business for more than fifteen years, creating such iconic projects such as Bed Supperclub & Long Table in Bangkok; Hotel de la Paix & Shinta Mani in Camboida. His concepts have garnered a host of awards and accolades, and his properties are recognized as leaders in the region. His hotel projects are also garnering attention for their positive social and environmental impact. 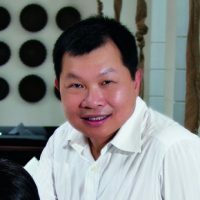 As founder of HMD Asia, Sokoun brings a wealth of industry knowledge to the boardroom table.